The world’s M3 money supply has been estimated to be around $75 trillion. That would be the total amount of money in the entire world. There are estimates that go much higher when including money invested in derivatives. In 2017, we saw the crypto market peak just over $800 billion. Based on that figure, perhaps we could say that the crypto market cap reached 1% of the world’s M3 money supply in 2017. As of this writing, the crypto market cap has come back to ~$250 billion which would represent less than .5% of the world’s M3 money supply. There’s a long way to go for the “internet of money” and the following quote sums it up. 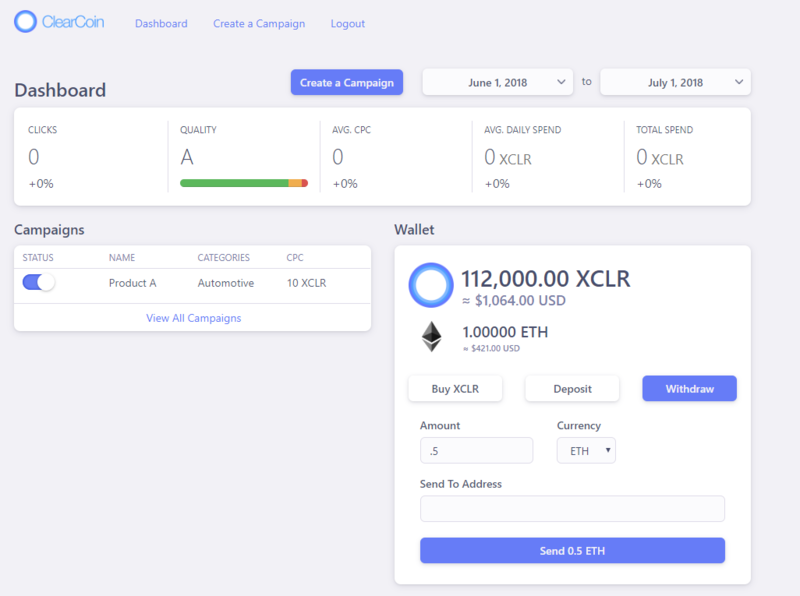 We are fortunate to have found publishers that are willing to exclusively accept the XCLR token as payment for selling ads to ad buyers (transacting with these publishers is pending integration). The strength of our network will lie in greater numbers of advertisers and publishers adopting the token for media and ad buying. It’s worth noting the token can find many other uses as our scope of products grows over the years. The largest tech companies in the world today have used their leverage in one area to enter other areas. We’re in too early of stage to say we’re in the same class as those large cap tech companies because we are not in the same class yet. However, the long term future of the company allows us to leverage one area to approach other markets. Even with that said, there is plenty of adoption work for us to do in the multi billion dollar ad market and that will be our main focus for the foreseeable future. Earlier in this post, we highlighted that the crypto market cap may have reached 1% of the world’s M3 money supply. With that heuristic, we could argue that a company bringing blockchain or a specialized utility token to a new market has a 1% opportunity for penetration in that market as a whole. Ad Age reports global spending on media and marketing to be at $1 trillion in 2018 so we believe we’re playing in a significant market. The more that a company can integrate with the emerging crypto ecosystem, it may be able to find greater value for itself by aligning with crypto focused companies. Like all industries, a great part of our industry works in traditional fiat currency. We have an opportunity to accept the clients that are using the fiat model but our main focus is growing the network of advertisers and publishers that use XCLR. For our managed services offering, we have previously highlighted a number of ad exchanges that we can bid on for our fiat paying managed services clients. The majority of the current managed services offering is built in the fiat model of doing business. The majority of our company’s focus will be building adoption for XCLR (more than 90%). 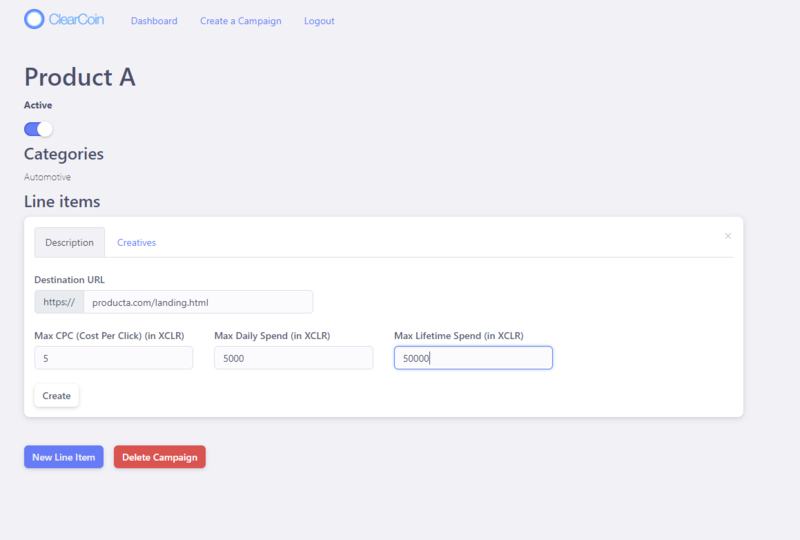 Working with the existing ecosystem that uses fiat will allow us to inform established companies of the ongoing growth of the “decentralized web” and the ad buying solutions we offer in that ecosystem using XCLR. The above should provide clarity on how we are bringing together the existing way of doing business with the new way of doing business. We see this as a positive as it allows us to merge proven markets with emerging markets in order to create long term growth and sustainability for all involved. After all, our supporters want to see the growth of the network we are creating. With the alignment of interest in growing the network that uses XCLR, we seek out opportunities that we believe will grow that network. Growth of the network is the biggest area of focus. The publishers that accept XCLR tokens will do so using a smart contract that has been designed by our technology team. The smart contract releases payment to the publisher upon delivery of the ad. Having worked as an advertising executive for many years myself, I am aware that the industry often has a 90 day gap in payment to publishers. Perhaps smart contracts will change this. Change happens over time but ultimately the best way of doing business should prevail. The first version of the ClearCoin smart contract governs transactions between ad buyers and sellers. The smart contract code can be viewed on Etherscan at this link and the first line item that was created can be viewed on Etherscan at this link. Bear in mind, the smart contract is likely to be updated over time as needs of network participants (advertisers & publishers) become more defined. Any smart contract entered into prior to a smart contract update would be governed by the previous smart contract. The code for the first version of the smart contract is pasted below. "This address has not created a line item." "This address has not created an ad slot." Below are some screenshots from the products we have been working on and some details about where they might go in the future. Bear in mind, the Explorer still has millions of more pieces of data to sync that it gets from the Ethereum blockchain. The Explorer is listed as an end of 2018 release on the roadmap so it is very much in a beta mode. 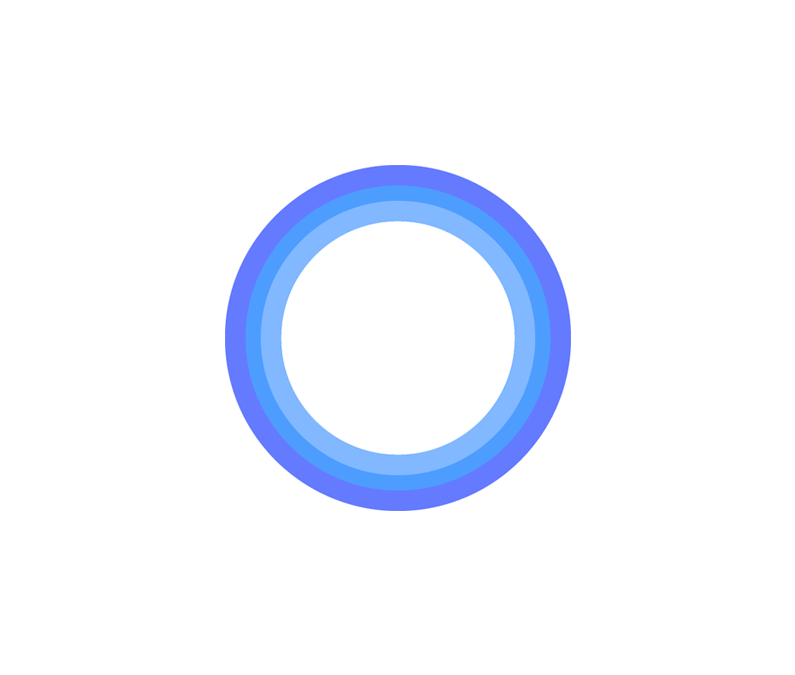 We are aiming to rapidly iterate on products based on important feedback from customers and users. Some block explorers have reached tens of millions page views per month making them important arbiters of media in the crypto economy. The media served on crypto focused sites represent the beginnings of the foundation for the messages flowing through the crypto economy. This is an important area for us to explore. 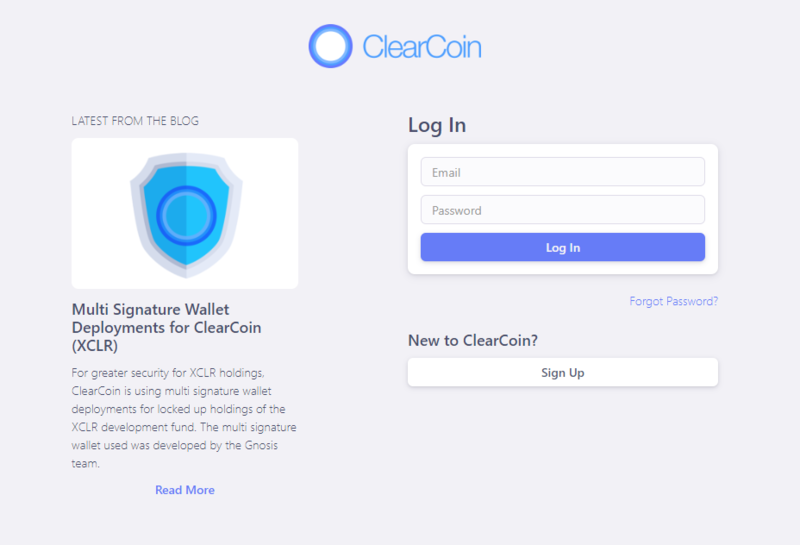 The new login screen for the ClearCoin Platform. The wallet will be merged into the main platform with capability to deposit, withdraw, and buy XCLR. 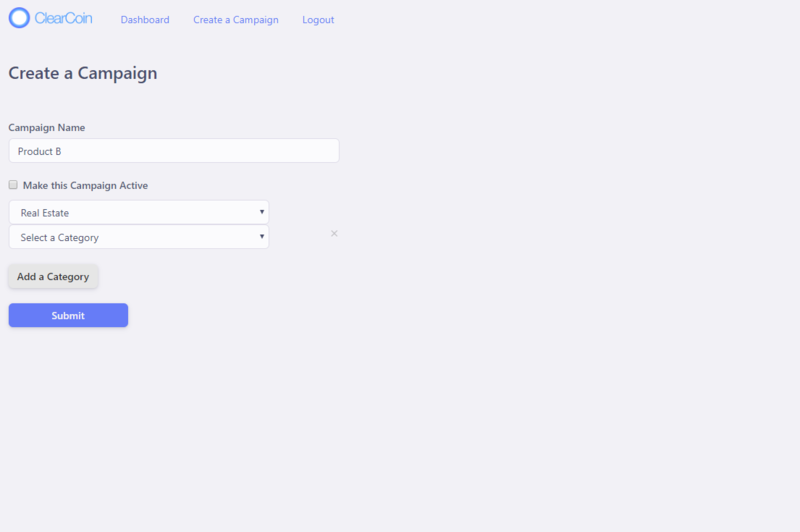 Campaign creation is the high level tool to for advertisers to set up their ad buys. Ad campaigns are grouped into “line items” that allow users to test different creatives and strategies. The ClearCoin Explorer helps users search through data on Ethereum’s chain. The intention of making the Explorer available is the organization of ad quality data that we will publish to the Ethereum blockchain. As an extension of the ad quality data we publish, other data published to Ethereum’s blockchain can be viewed. In the future, other blockchains can be indexed as well. Sample data from the ZRX token. 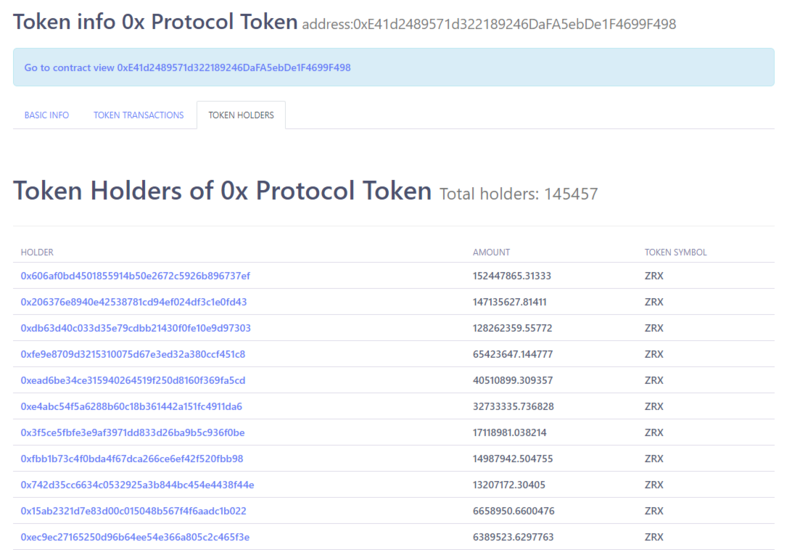 Sample data of transactions from the ZRX token. Sample data of token holders of the ZRX token. An example of “real world” data that will be published to blockchains. In this case, we are looking at results related to real estate. There is a high volume of emerging blockchain companies in all industries. Example industries that we’re aware of that are working with blockchain include real estate, travel, automotive, supply chains, and more.